"You WILL give me a dollar." 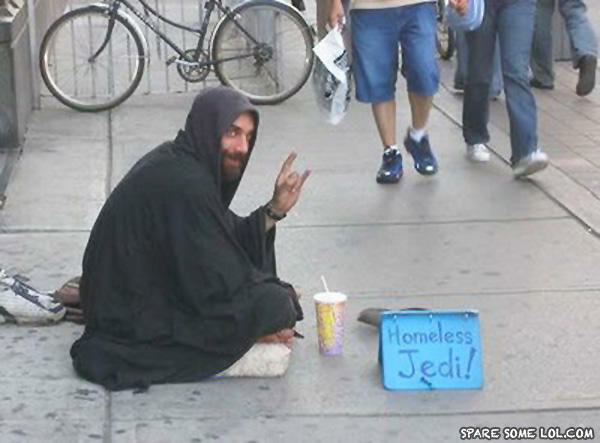 Moral: You can live at my place with as much food and booze as you want, as long as you teach me all your jedi tricks. Dork with the minus six thumbs: To what you moron to create money out of thin air? Yeah that works! Moral: Stupid arrogant prick. OMGZ ITS ANAKIN SKYWALKER'S STEP BROTHER!